3 types of battery powered RA 2 Sensors when the room is unoccupied. 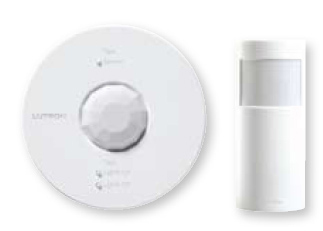 These sensors mount to the ceiling or wall and communicate with the assigned dimmers to activate or deactivate, based upon motion in the room. 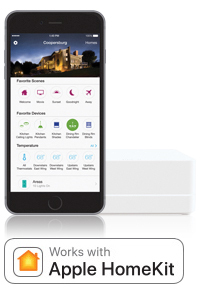 The Lutron Connect Bridge creates a link between a RadioRA 2 system and the Lutron Cloud, which will allow you to have remote access from the Lutron connect bridge to your lighting system. There are no annual fees once you purchase the connect bridge and attach to your home router. 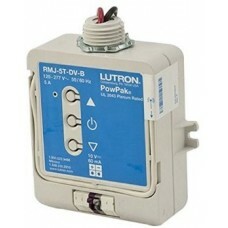 LMJ-5T-DV-B Dimming Module 0-10V Control. The RF Dimming Module with 0–10 V- control is a radio frequency (RF) control that operates 0–10 V- controlled fluorescent ballasts or LED drivers based on input from the RadioRA 2 systems. • 0-10 V- control link automatically sources or sinks up to 60 mA to third-party fixtures. • Switches line voltage up to 5 A. • Configurable high- and low-end trim. • Various operating voltages available—refer to model number chart below for details on voltage requirements. • Mounts to an electrical junction box through a 1/2 in (21 mm trade-size) knockout opening. A wonderful addition to the popular line of Pico Controllers, this 4 button version will allow you to program multiple preset scenes on to one controller. Available in gloss finish: white, Ivory, Black and Light Almond.